Recognizing that the design of complex and functionalized products and the combination of process intensification techniques are important challenges in industrial crystallization, this part-time chair will focus on the application of computational chemistry tools (expertise available within TNO) to predict properties of advanced (energetic/hazardous) materials in order to preselect promising candidates that can then be considered for additional experimental work. This approach should replace the conventional trial-and-error method during which numerous new materials are synthesized, crystallized, and characterized, while in the end only a handful lead to successful commercial applications/products. A second pillar of the part-time chair will focus on innovative and intensified processing techniques that can be applied to modify and functionalize (energetic) materials, which explains the link with the Section Intensified Reaction and Separation Systems (IRS). This group holds a strong and internationally recognized position in chemical reaction engineering and process intensification combined with industrial crystallization. 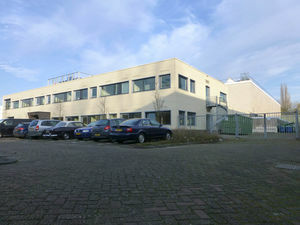 The TNO and TU Delft expertise fields complement each other and by combining these efforts a unique research area is created. Specific research topics comprise the development of alternative, ‘green’ and environmentally benign compounds replacing currently used toxic ingredients; computational methods to predict properties of existing or new materials, is also of interest in view of the REACH legislation in EU; sustainable synthesis routes avoiding the use of toxic or hazardous precursors; improvement of current processing techniques using innovative methods as well as process intensification concepts, i.e. reducing the number of processing steps and/or increasing the yield by applying e.g. external (electromagnetic, magnetic, acoustic) fields. I received his MSc in physics (1982-1987) and PhD (1987-1991), both from the Radboud University Nijmegen. 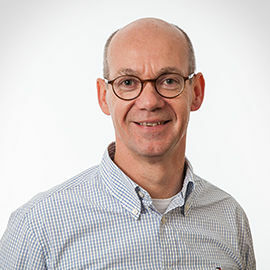 After a postdoc position at the TU Delft (1992-1994) he joined TNO where I am employed as a Senior Research Scientist within the department of Energetic Materials. I have been mainly involved in the synthesis, crystallization, characterization, application, and processing of energetic/hazardous materials. I have been associated with the IRS Group as a Research Associate (0.2) since 2009.